We charge by the job, not the hour. 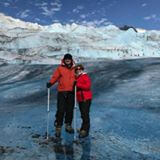 "David was on time, professional and courteous. He's a skilled and experienced plumber. He got my problem drain unclogged in less than an hour. I highly recommend him and Option One." Whether your sewer pipe is blocked by a tree root invasion or cracked somewhere underground, Option One can repair your sewer pipes using our trenchless technology. We have the equipment to fix sewer pipe problems without digging up your yard or breaking through the walls or floors in your home. Option One's sewer lining techniques are a stout alternative to sewer pipe replacements. Our sewer lining services can repair cracked pipes and offer security and protection for your pipes without needing to have your system completely replaced. Our trenchless solutions will keep your home and business intact during the process, completely renewing the pipes from the inside. Our trenchless technology is the solution to pipe lining and repair without digging up your yard. Trenchless sewer repair and pipe lining can save you stress, time, and money. At Option One, we use sewer camera inspection technology to assess the damage in your pipes and determine the locations of these problems. We diagnose the problem from the inside without needing to dig up your property in search of leaks, clogs, or other issues. If your bathroom or kitchen drains are clogged or are suffering from cracks and leaks, our drain inspection services at Option One will be able to accurately diagnose the problem from the inside. With our innovative technology, your home and property won’t need to be plowed through in order to expose the pipes. Our drain lining services will rehabilitate your drains from the inside, and with a special epoxy resin, our technicians at Option One will install long-lasting solutions to your drain ling problems. Our drain linings will seal away leaks and cracks while offering a durable liner to keep your drains clean and clear of clogs and corrosion for many years. 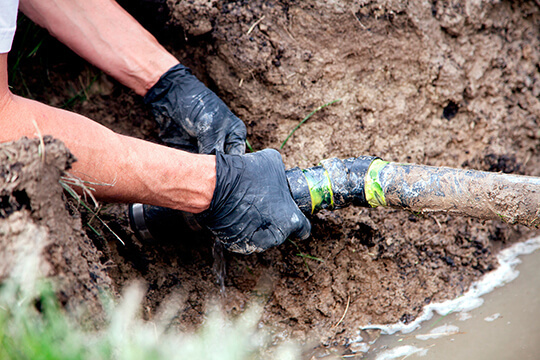 Option One’s emergency plumbers are always ready to assist with sewer and pipeline accidents. With trenchless-based equipment and solutions that are quick to install, our emergency plumbers will always be prepared to offer reliable solutions to minimize inconvenience and property damage. At Option One, we offer advanced leak detection services to expose leaks and cracks in your pipelines no matter how small they are. 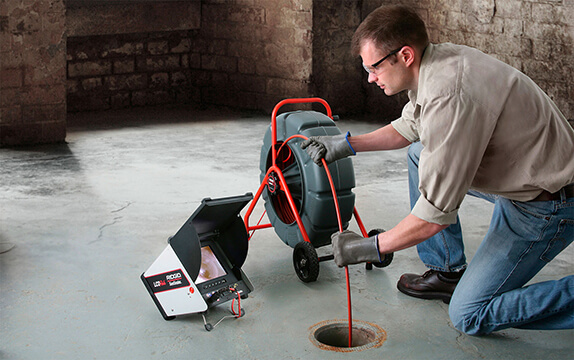 We have a wide array of technology and equipment at our disposal to accurately pinpoint the locations of leaks and offer the best solutions for fixing them with our trenchless technology. At Option One, our doors are open 24 hours a day, ensuring that our services will always be available for assistance. Our staff of professionals will be ready to address the needs of our customers at any time, and we make sure to arrive on-time in order to solve the problem with fast and precise work. When we arrive on your property, we include free estimates of the work needed to fix the problem on your property. Our staff is committed to building support and trust with our customers, and our free estimates allow us to do just that. "Amazing value, very happy with customer service too. We needed septic line rootered... Called Friday night after 8 PM, it was very easy to setup the appointment for Monday. The plumber who arrived was very friendly. He came a little late, but they called us to tell us about it during the regularly scheduled time window 9-11AM. I will definitely use again!!!" 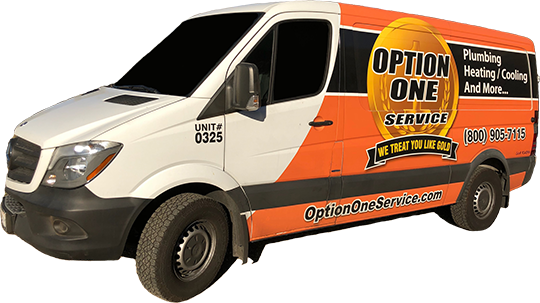 Option One services locations in California and Arizona, and we continue to grow and expand. Check out our list of areas that we serve and see how we can help you today! With our minimally invasive, eco-friendly methods of sewer and pipeline repairs, our staff at Option One makes sure that your home isn’t damaged during our visit. Our work is safe and effective, keeping our work area clean while ensuring that your concerns are completely addressed without risking needless collateral damage. "Excellent service. Thank you for the prompt care and a job well done. I'm a family man and I am glad I can trust this company. God bless." "Best plumbing company in the city. They have came to our house at 10:30 pm to repair a broken pipe under our bathroom last year. Currently they are installing a pot filler with in line water filter in our newly remolded kitchen." With flat rates and affordable prices, Option One has the high-quality services you can rely on without inflating the bill. We make sure that our estimates are accurate and reflective of the work we do so that, after our job is complete, you can trust our prices to be within your budget. If the water pressure in your home is low or your water is tinged with rust because of the copper pipes installed on your property, call Option One for copper repiping services. We rehabilitate your pipes without removing them, ensuring that excavation won’t be necessary while providing you with long-lasting repair results that will improve the quality of your water and keep you safe. At Option One, our drain cleaning services are complemented with our powerful hydro jetting equipment. 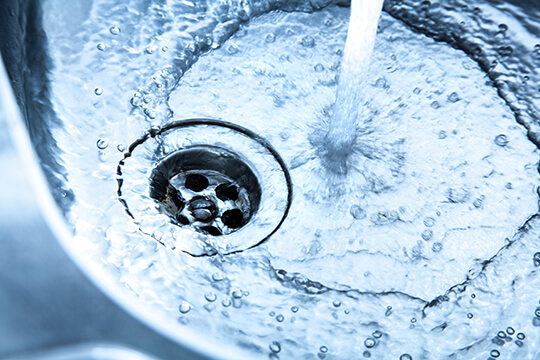 By relying on forceful blasts of water to thoroughly clean your pipes, we offer an eco-friendly solution for drain cleaning, eliminating the need for chemical cleaners and other unreliable methods. Our hydro jetting services are a reliable solution for all of your pipeline problems, including removing dense clogs, tree roots, and mineral deposits. For locating small leaks, our team at Option One uses electronic leak detection equipment to capture the sound waves a leak produces and accurately pinpoint its location. With this innovative process, we can quickly fix leaks and restore your pipes without excavation or the need to demolish the walls and floor on your property. 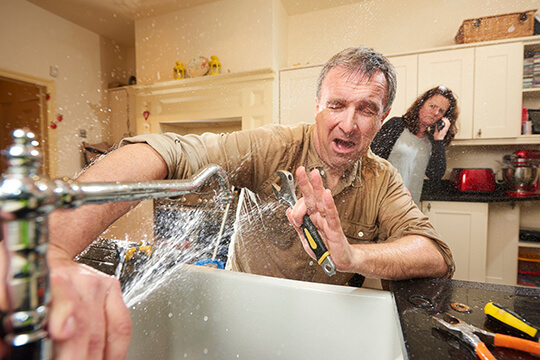 If your faucets are leaking or broken, don’t wait to call Option One for excellent repair and installation services that are affordable and produce dependable results. Our work is of the highest quality, and with our careful attention to detail, your faucets will be restored with the best tools and equipment. At Option One, we offer services to repair slab leaks and ensure that the foundation of your property isn’t compromised. With fast, trenchless-based solutions, we provide fast repairs in order to keep your property secure. We offer gas leak detection and repair services in order to keep you and your property safe. Our work is innovative and efficient, designed to locate gas leaks quickly while offering solutions that will fully address the problem and provide customers with excellent long-term results. When your water softener system experiences problems, our team at Option One does everything in our power to fix these systems as quickly as possible. We understand the importance water softeners systems have on the quality of your water, and our solutions are designed to provide our customers with excellent, satisfactory results. 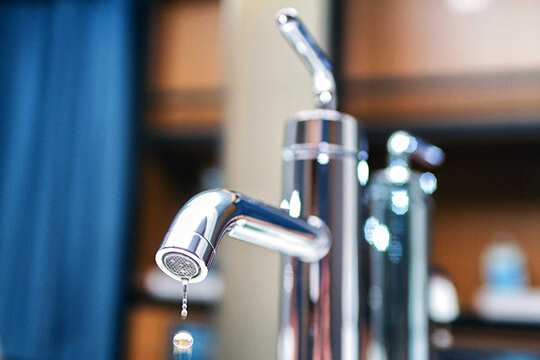 When your faucets aren’t producing hot water, Option One has the equipment required to fix your hot water circulating pumps and keep your water hot. We understand the importance hot water plays in your daily routine, and we make sure that our repairs are quick and reliable so that your schedule can go back to normal. At Option One, we have the equipment and experience necessary to restore hot water heaters quickly and efficiently so our customer’s daily routine can go back to normal without delay. Our services are minimally invasive and affordable, ensuring that the repairs will result in a reliable hot water heater that will continue to serve you and your home for a long time. Traditional sewer repairs have become a thing of the past due to their inefficiency and time-consuming steps. Prior to any repair work being completed, trenches would first need to be excavated on properties, demolishing the landscaping and, at times, the floors within a home or business in order to even access the pipe, let alone repair it. The digging and excavation were not only damaging but required several days or weeks to be completed, resulting in customers needing to relocate to a nearby hotel to stay since their home was occupied with workers and onsite work that could create dangerous situations. At Option One Plumbing & Rooter, we are proud to have moved away from these processes in favor of alternative methods that utilize modern technology and techniques to be faster and more reliable. Each service is different and can be professionally installed by our expert technicians and specialists. No matter what your home or business requires, we will have the knowledge and equipment needed to fix the problem effectively. With each process catered to a specific, unique problem, we can ensure that we have the solution needed to restore the sewer lines in your home and mitigate damage all at an affordable price. A general term for all trenchless-based repair processes, our trenchless sewer repair process is flexible and suited to fix a variety of problems that can be found inside of the pipes. Prior to any of our services being conducted, we first take the time to conduct a thorough inspection of the pipes. The camera is inserted into the pipeline with a fiber optic cable that allows our technicians to carefully navigate it throughout the sewer system. The camera is high-quality, capturing, clear footage of the pipe’s interior, and the footage is fed back to a monitor for our experts to assess and review. Through this inside look at the condition of the pipes, we will be able to determine the amount of damage inside of the pipes. This includes diagnosing complications such as clogs, leaks, cracks, and corrosion in the pipe. Once we have properly located all areas of concern and determined the best solution for each, we can move forward with any one of the sewer repair options that we have available. Cured-in-place pipe (CIPP) lining is an advanced type of repair solution that is designed to fix cracks, leaks, and holes that may be found in the sewer lines. For this solution to be effective, the pipe is first washed clean of debris and waste, including tree root clumps, with our high-quality hydro jetting equipment. This equipment is designed to remove mineral deposits and other issues efficiently by blasting pure, clean water at high-pressures inside of the pipe with a hose and multi-directional nozzle attached to the spout. Once the pipeline has been completely cleaned, the pipe is ready to be lined with our CIPP lining solutions. The process begins with a liner coated with an epoxy resin formula being inserted into the sewer line. This liner can be moved to any area in the pipe and is specifically positioned to cover the areas of damage and fix small sections of the pipeline as needed. This makes the process versatile and easy to install. After the liner is in position, it is inflated with an artificial bladder inside of the liner. This forces it to expand, and the pressure transfers the epoxy resin from the liner to the interior of the pipe. The epoxy resin covers and fills any corrosion and holes within the pipe. The liner is deflated and removed, and for the next several hours, the epoxy resin cures and hardens against the interior of the pipe. This allows it to seal away the presence of cracks, leaks, and holes in the pipeline. With an estimated lifespan of fifty years, cured-in-place pipe lining is a solution that is meant to last for many years. 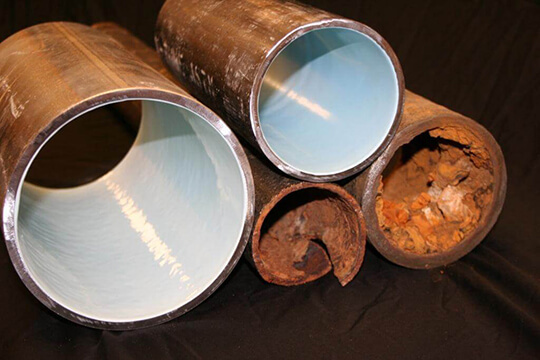 Cured-in-place pipe inversion lining is similar in principle to cured-in-place pipe lining, but this solution is particularly effective for repairing large swaths of sewer lines, which can even extend to the entire sewer line itself. The liner is inserted into the pipeline in its inverted position and filled with air so that the liner inflates and inverts back to its default shape. This inversion process allows the epoxy resin to effectively coat the inside of the pipe and seal away problem areas. Pipe bursting is another trenchless method of repairs. 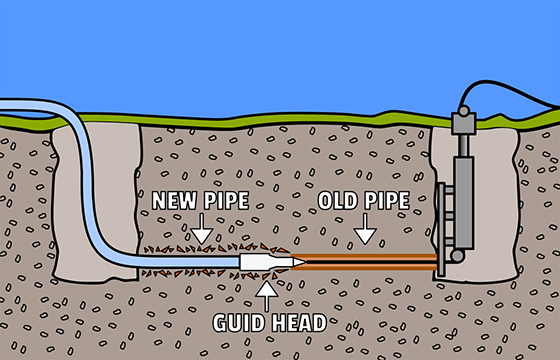 Designed to repair sewer lines that have completely collapsed, this process involves inserting a drilling head inside of the sewer line. This sewer line is threaded through the pipe, forcibly breaking apart the host pipe. This breakage creates more space for a new pipe to be installed. Behind the drilling head is an HDPE pipe that is pulled into position from behind it, making for a simultaneous installation process that eliminates the need for digging and excavation. This method is effective for replacing sewer lines without manually removing the pipe out of the ground, resulting in a much easier, more affordable repair solution. When you need sewer repairs fast, don’t hesitate to call Option Plumbing & Rooter. When you call us at 1-800-905-7115, we guarantee that we will not only fix the problem quickly but charge by the job rather than the hour. We value the support and trust of our customers, and we are proud to keep our services in their budget range and offer services that are eco-friendly and long-lasting. Copyright © 2018 OptionOnePlumbingandRooter.com. All rights reserved. Powered by Trenchless Marketing.